In 1995 Sue united her passion for people and homes and began her real estate career in Ottawa. Over the next few years, Sue and her husband Scott had three children. Family life took priority over career but Sue never lost her love for showing and selling houses. 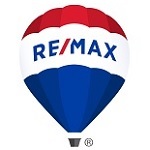 In 2004, with her youngest child in kindergarten, Sue joined Re/Max as an independent agent. Leveraging the skills and pro-tips she had learned over the previous nine years, her Real Estate career really took off. In her first year of business, she sold 40 homes in a market where an average Re/Max Realtor was selling 12. In the years since, Sue has ranked amongst the top 10 for Re/Max agents throughout Ottawa not once, but 12 times. She has won both the Lifetime Achievement award and the Hall of Fame award and has personally sold more than 600 homes. Her proudest work-life accomplishment is her long list of supportive clients who do her the great honour of recommending her to friends, family and co-workers every week of the year.